Set many decades after a global war, society has formed into a government run utopia. Everyone has everything they might want or desire. 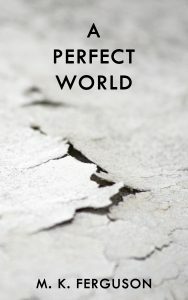 The price for this perfect world is the forfeit of some freedoms. Chiefly among them, the ability to have children by natural birth. The government must approve every child born in this new world. However, not all agree with this draconian philosophy. A group of terrorist aim to dismantle the system by attacking these perfect cities and causing widespread panic. Several police officials and a few concerned citizens, attempt to uncover the terrorist plot and the possible government involvement.